My name is Melissa Paz. I’m a transformational coach, business owner, yoga educator, writer, and lover of music and dance. Ultimately, all of my work is about helping women entrepreneurs stop the overwhelm, and take back their time and power so they can be present in their life and thrive in their business. Because when women have the tools they need to live with more personal freedom and confidence their families and communities thrive! I am a facilitator of transformational work that includes the mind, body, and heart. I have dedicated myself to helping people embody change, release limiting beliefs, and take empowered action as a way to achieve more fulfillment in all areas of their lives and make a greater impact in the world. 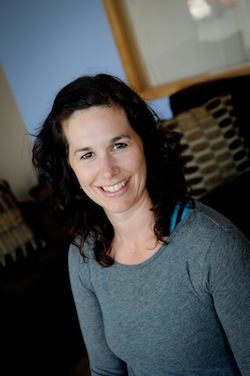 I have more than a decade of experience in the wellness industry as a coach, workshop facilitator, yoga teacher and co-founded two award winning yoga studios in Washington State. I have Mastery level certification in the Transformational Coaching Methodology that has provided me with the skills, tools, experience and confidence to facilitate personal growth and development. Through my extensive decade of running a small business, I have intimately experienced what it takes to create purpose, direction, and ease in both my work and home life. In 2005, I simultaneously became a business owner and mother and I quickly learned to adapt to these two distinct roles. In a short period of time after having two sons, and two yoga studios, I can confidently say that I have discovered that in any given moment you must have a deep desire and strong “why” behind everything that you do in order to create true happiness and fulfillment. My mission is to help women entrepreneurs step into their greatness and create a healthy balance between work and home by putting themselves first, receiving help, and learning to embrace the flow of life leaving them confident, relaxed, and grateful. I work with passionate, creative and professional women on a mission to live their purpose in a BIG way- courageously experiencing a prosperous spiritual and financial life. Commit to yourself, you are WORTH it and step forward into creating lasting change that will propel you closer toward finding the clarity, confidence, and ease you desire. Schedule a COMPLIMENTARY session with me and discover what truly awaits you TODAY!